Benchmade's classic Mini Griptilian knife just got even better with G-10 handles, blue barrel spacers, and a premium CPM-20CV steel blade with exceptional edge retention! 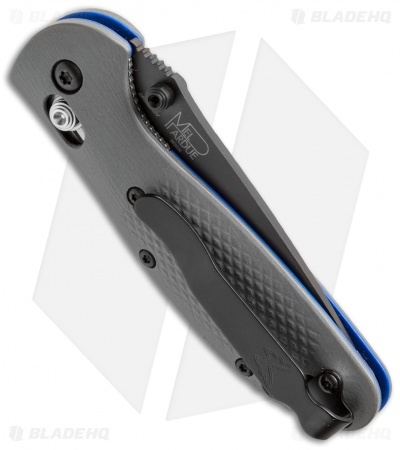 The Mini Griptilian is a Pardue designed folding knife that utilizes the AXIS lock mechanism, which makes the knife easy to open and close for right and left hand users. 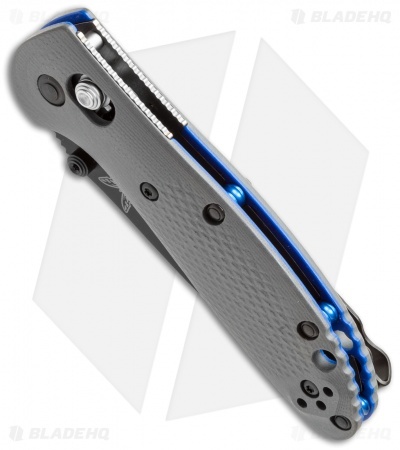 The modified drop-point blade has dual thumb studs and the deep carry pocket clip can be reversed, making the Griptilian folder an equally amazing knife for right or left handed users. This model, the 556SBK-1, has a black finished drop point blade with a serrated cutting edge. 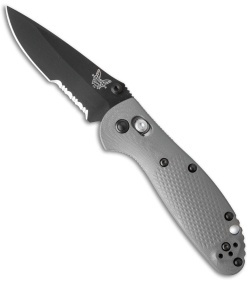 *The picture above is for reference only and does not necessarily reflect actual blade finish or cutting edge.